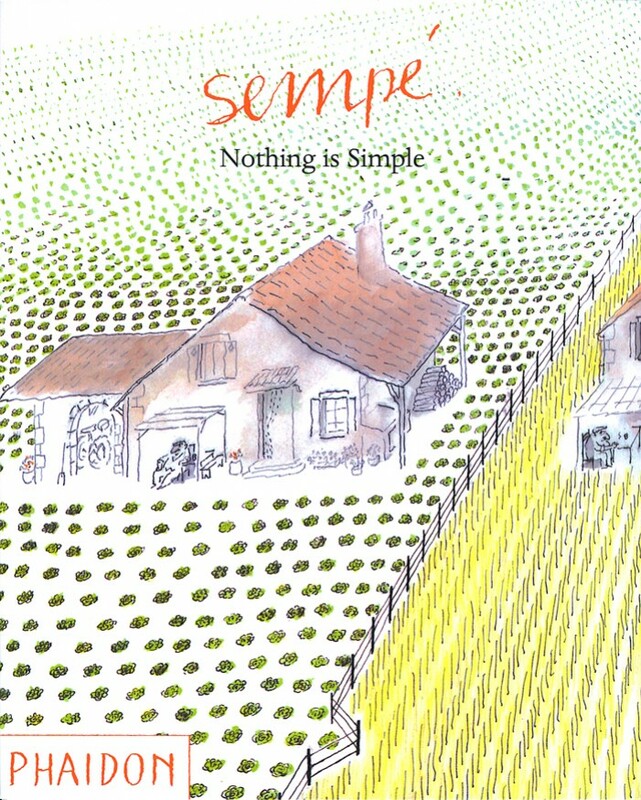 Perhaps best known as the artist on the Petit Nicolas series, Jean-Jacques Sempe is one of the all-time great gag cartoonists and cartoon illustrators, working in a style familiar to fans of his and like work in the New Yorker but working a portion of the humor landscape all his own. In his best work, Sempe's drawings can cover the page far above and beyond what is needed to tell the joke, becoming an art object of interest all by itself. In many of his cartoons he leaves the reader to take visual elements and build jokes on their own, making for laughs that require multiple intakes of breath. Phaidon is in the midst of publishing a series of Sempe's cartoon books in English, in what has to be the least talked-about cartoonist reclamation project of the moment. The first four books bookend his multiple-decade career, and I'm happy to pass along previews of this work that were sent to me in the hopes that you will consider availing yourself of these books at a future date. Your comics library will be richer for it.